Preventing tooth decay is mostly about the basics: daily brushing and flossing followed by regular dental cleanings and checkups. But there’s also a bigger picture: your own personal risk profile for decay based on factors you can modify directly — and those you can’t. The first type of factor usually involves habits and behavior that either work with your mouth’s natural defenses to fight decay or against it. Besides regular hygiene, your diet is probably the most important of these you can modify for better dental health. A diet rich in fresh vegetables, protein and dairy products boosts strong, healthy teeth resistant to decay. Conversely, bacteria thrive on the sugar in many snack foods, while sodas, sports or energy drinks elevate acid levels that soften and erode the minerals in your teeth’s enamel. Lifestyle habits like tobacco use or excessive alcohol consumption also increase your decay risk. Not only do they promote plaque buildup (the thin film of bacteria and food particles that feeds the decay process), but tobacco especially can impede the body’s natural prevention and healing properties. Conscientious hygiene practices, a dental-friendly diet and modified lifestyle habits all can help you prevent decay. But diligence may not be enough — there are other possible factors you can’t control or may find difficult to change. For example, you may have a genetic propensity toward certain bacteria that cause decay. You may have a condition like gastric reflux that increases the mouth’s acid level. You may also be taking medications that reduce saliva flow, the mouth’s natural acid neutralizer. But if we know which of these indirect risk factors affect you, we can compensate with extra measures. If enamel strength is a problem we can topically apply fluoride; we can also reduce chronic bacterial levels with prescription rinses. If you have restricted saliva flow, we can attempt to modify your prescriptions through your doctor or prescribe aids that increase saliva. 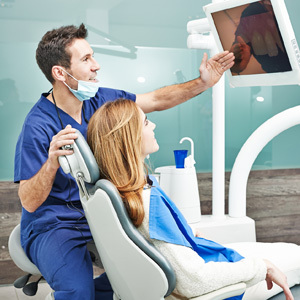 The key is to investigate your complete risk factor profile through a thorough dental examination. Once we know everything about your mouth, life and health that increases your decay risk, we can put in place a balanced strategy of prevention and treatment just for you. Doing so will greatly increase your chances for keeping your teeth decay-free and healthy.